Betting lines - point spreads - for semi-professional ultimate games are for entertainment purposes. Spreads by SLUDGE. 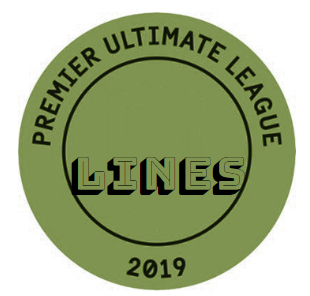 View the full Premier Ultimate League 2019 schedule. The Premier Ultimate League beings its inaugural league tomorrow (April 20). 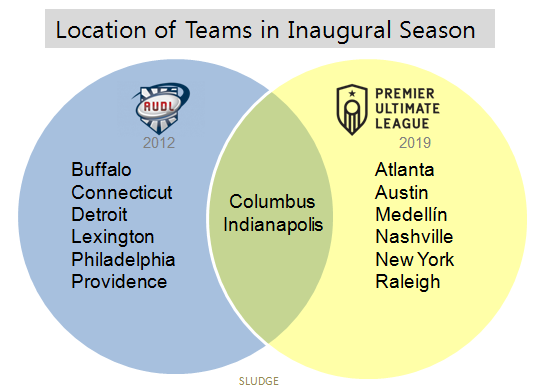 Similar to the American Ultimate Disc League, PUL will have 8 teams competing in its first season. There are two locations that have founded teams in each league – Columbus, Ohio and Indianapolis, Indiana; not necessarily known ultimate frisbee hotbeds, but certainly well-positioned cities in the Midwest. 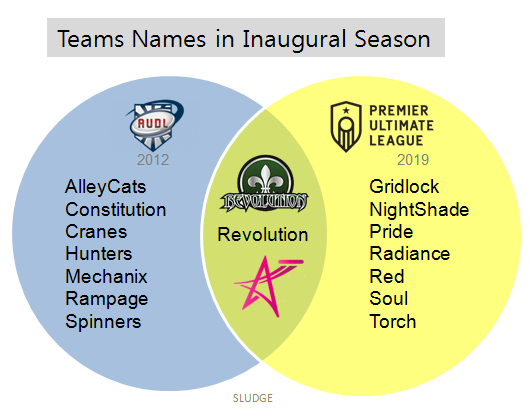 Revolution is the one team name shared among founding teams in the AUDL (2012) and the PUL (2019) - Bluegrass (Lexington) Revolution [AUDL] and Medellín (Colombia) Revolution [PUL]. Medellín (Colombia) Revolution is the only international team in the Premier Ultimate League. Overall, 15 players from the 2018 Revo club team that won silver at last year's WFDF Ultimate Club Championships are also on their 2019 roster for Premier Ultimate League. As predicted in January, Medellín Revolution rostered some U.S. club players for their 2019 PUL squad. Calise Cardenas (Seattle Riot), Claire Chastain (Denver Molly Brown) and Kayla Helton (San Francisco Fury) are currently listed as members of Revo for the PUL season. At USAU Club Championships, Fury won and Molly Brown and Riot tied for 3rd place. Revolution's season opens on Saturday, April 20 when they host Atlanta Soul. Via a Player Sponsorship Program, the Premier Ultimate League raised $120,000 in less than a week. 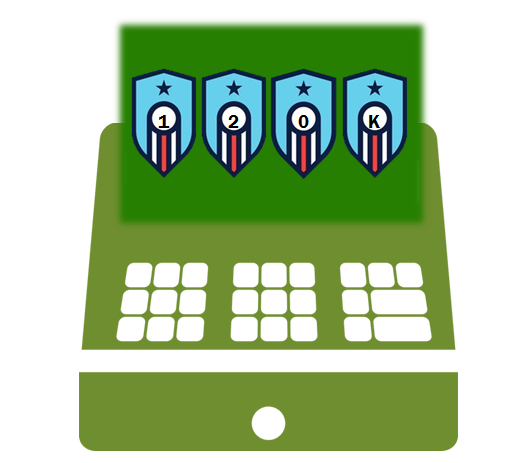 $120, 000 = 800 sponsorships (4 per player x 200 players) @ $150. PUL's pilot season begins April 20, 2019. 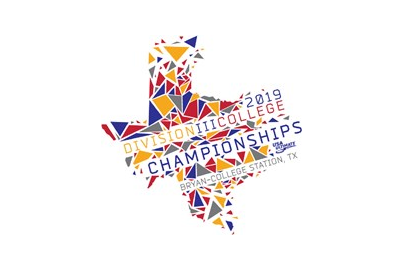 The USA Ultimate D-III College Championships will take place May 18-19 in College Station, Texas. College Station is located in eastern Texas, and is home to the main campus of Texas A&M University. Westcoast Women's Professional Ultimate will debut in southern California with games in May and June 2019. The schedule for the logo-less league along with participating teams were announced yesterday. Per their website, the Westcoast (<--one word) Women's Professional Ultimate [WWPU] is "an unprecedented competition series to bring professional women's ultimate frisbee to the West coast." WWPU is not (yet) associated with the Premier Ultimate League (PUL), though PUL is listed as a sponsor. The current schedule billed as "2019 Southern California women's professional ultimate series" reveals 3 WWPU teams - Los Angeles Ninety-Nines, San Diego Wolfpack and Seattle Cascades. Rules, disc type, streaming, and rosters have not been posted. WWPU website indicates Portland and Vancouver as additional sites without a team name reveal. The Cascades are planning to participate in a northwest women's ultimate series against teams from Portland and Vancouver. 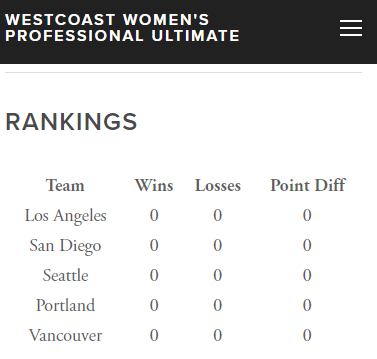 A total of 8 games between 5 teams are estimated to played as part of the 2019 season of Westcoast Women's Professional Ultimate. Learn more about WWPU at westcoastwomensultimate.com.